Prostate artery embolization, a procedure for treating benign prostatic hyperplasia that is already common in other places around the world, has made its way to US shores thanks to FDA approval and medical providers adopting the treatment. Prostate artery embolization, or PAE, has been used successfully in Europe for several years to treat men diagnosed with an enlarged prostate. PAE is less invasive, causes less pain and discomfort, and does not require a hospital stay to perform. Spearheaded by physicians at University of California San Diego Health, PAE as a viable treatment for benign prostatic hyperplasia has been on the rise. UCSD Health has treated nearly two dozen patients using the new method after the FDA approved it for use in the United States in 2017, and UCSD School of Medicine radiology chief Alexander Norbash says results have been excellent. PAE has many benefits, Dr. Norbash added, citing the ability for patients to recover more comfortably in their own home, ultimately allowing them to return to their normal activity levels much quicker. In some cases, he remarked, symptoms have shown improvement in as little as a week. PAE is a unique but effective method for reducing the size of an enlarged prostate that involves reducing the blood flow to the organ. A small catheter is inserted in a wrist or thigh artery of a patient before being threaded into the arteries that supply the prostate with blood. 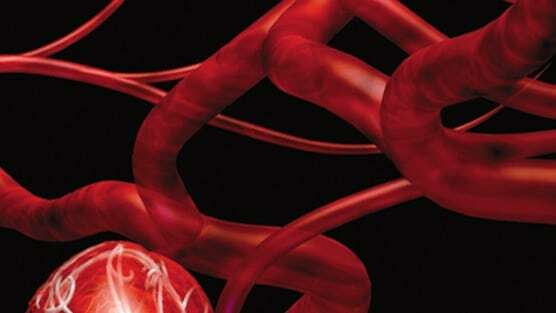 Then, small particles are deposited into the artery to partially block the prostate’s blood flow. This approach to treating benign prostatic hyperplasia will be a welcome alternative to standard treatments. It’s often true that the only options for patients that don’t respond to medication are surgical ones that involve partial removal of the enlarged prostate and require moderately long recovery periods that can interfere with a patient’s normal lifestyle.